East meets West is said about a number of cities around the world, Hong Kong, Singapore, Kuala Lumpur - the list goes on endlessly. However, I've never found a city before that could be described as West meets East. This is the only way to describe the tastes, sights and styles of Sarajevo. Sarajevo is a city steeped in history, both in it's painfully recent past and the hundreds of years before it. Not focusing on a mass history lesson here, however to give you the very brief outline Sarajevo's architecture is mostly influenced from being under the rule of the Ottomans and then the Austro-Hungarian Empire. Walking around the city, you honestly feel like it's two different places that merge in the middle of a big cultural melting pot. Unfortunately, recent history of the city (and country) was war. 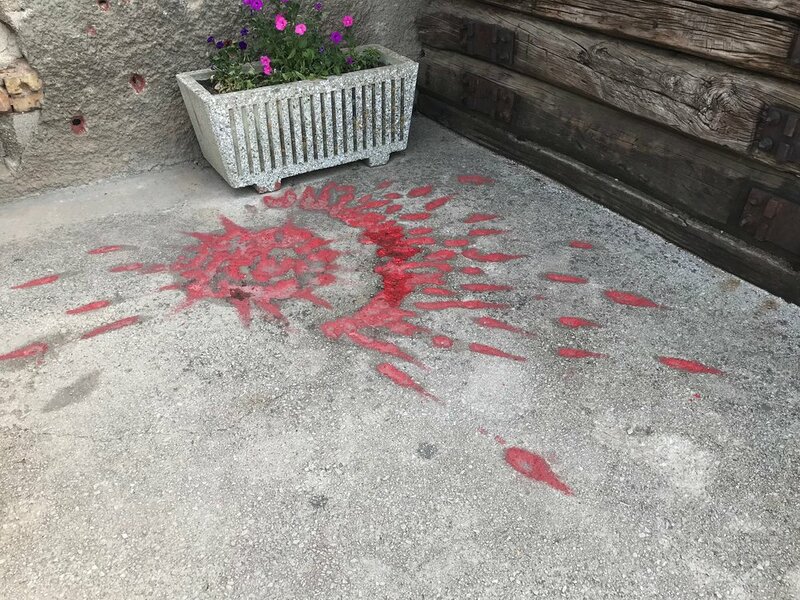 Sarajevo was home to the longest siege on a capital city in modern history, with the scars of this still present on the buildings, ground and peoples minds. Fortunately however, with of all this history there is a HUGE amount to explore here so I've scribbled down some of my personal highlights below. One of my favourite activities while in the city was the dine with locals experience. We were taken to a completely non touristic part of town and partnered with local families. These are families who lived through the siege, they survived the daily missile strikes and sniper attacks. The people who had to run miles a day dodging bullets just to collect water or provisions for almost 4 years straight. Over two hours, we shared their home and spoke about what they felt about the past and present of the city. Our host was called Vesna, she prepared us the MOST stunning feast of local foods & dishes that should be on any good foodies list. After quite an emotional couple hours with her & neighbour T, we headed back downstairs observing the scars missiles & bullets left on the building that is still to be repaired. Meandering through Old Town is something no visit here should be without. With it's clear Ottoman influence it's fascinating checking out all the side streets & architecture. You'll find plenty of tiny cafes & restaurants to sample the local cuisine (Cevapi being a personal favourite) along with Bosnian coffee bars to sample the traditional flavours of the city. Nightlife is as ever present as in any European city, the Islamic presence does reduce the number of big clubs you will still find plenty to keep yourself entertained along with some great shisha bars. In Old Town there is so may places of worship to check out, the Bascarsija is a traditional Ottoman bazaar and the only national monument you can pee on! Yep, that's correct - some of the oldest public toilets in Europe. Because of this you don't have to pay to enter, but make sure you take your own loo roll and have strong thighs as they're traditional 'pop a squat' toilets. You'll also see the point where Old Town becomes 'New Town' with a handy compass on the ground. Looking to the West is a modern day city, and to the East is the Old city. If you stand on this spot and look each way, you would honestly not think they were the same country let alone city. Pretty cool hey? This is due to the architectural influences on the city from both the Ottoman & Austro-Hungarian empires, each leaving something unique behind. Now I use the above for the sole reason that this was the term my history teacher at school used to describe visiting multiple religious sites in a day. Not to worship, but to simply enjoy the history and architecture in place. Religion means something different to all of us and can be deeply personal. Whether you agree with different ways or worship or not it's hard to deny that the buildings aren't stunning. From the Buddhist Temples of Thailand to the Islamic Blue Mosque in Turkey and the Vatican in Italy (or for the picky among us Vatican State), I'm sure we can all see the beauty in these structures. Due to this, I urge you to dress respectfully with shoulders and knees covered, and just for an hour or two simply enjoy a couple dotted around the city. My two favourites being the Gazi Husrev-beg Mosque in old town, and the Cathedral of the Sacred Heart. Listen to the call to prayer, or meander around the stain glass windows of the Cathedral. These buildings have seen a hell of a lot more than you have both being hundreds of years old, so enjoy them. Originally constructed in 1959 however destroyed in the Bosnian war, the cable car only reopened in Spring this year. 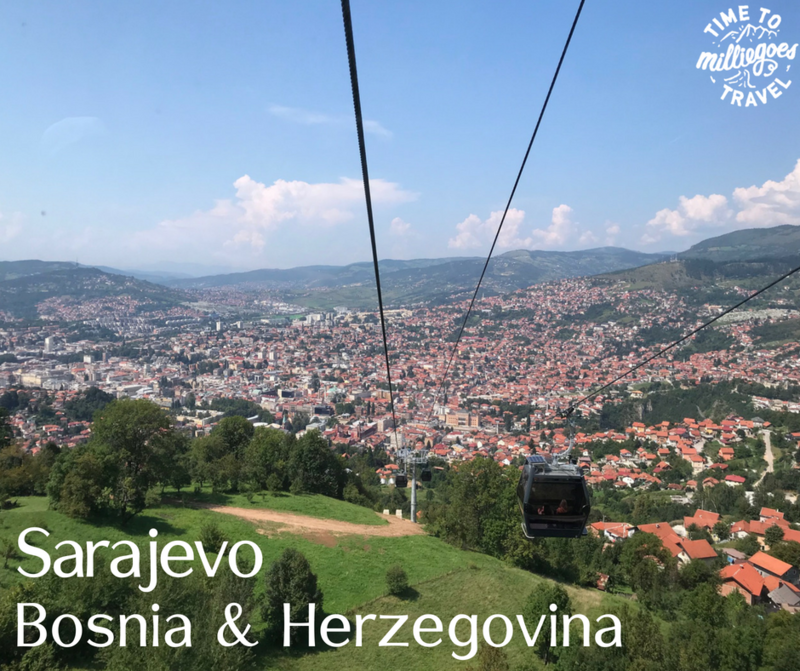 It follows the same route as the first cable car, taking you up to Mount Trebevic and gives unparalleled views of the city. During your ride up, you'll probably see some of the sniper spots which were used during the war. The mountain was used for the same reason tourists now go - the ability to overlook the entire city. At approximately 10 euro for a return ticket, you can either head up for a picnic and some views, or take the ride up to then walk back down to the city along the hiking trails. From here, you can also visit the site of the 1984 Winter Olympics which brings me nicely onto my next must see city stop. Such a cool place to walk around, and the perfect spot to get some epic snaps for the 'Gram'. You'll find the Bobsled & Luge tracks still in fairly good condition, and with some incredible graffiti covering it. You can walk along the tracks where records were broken, however I'd probably only advise this in summer as in winter I'm sure you could still get some speed up going down if you slipped! We attempted to look like luge racers... Not sure we did such a great job but if you get there, tag me in your IG attempts! Franz Ferdinand is an infamous name worldwide. So much so we even have a band who named themselves after him. It was in Sarajevo that he was assassinated, and this is the moment that many people accredit the spark that started World War I. Only down the road from the city hall, it's worth a visit to see how even a very ordinary city corner can be a point that shaped all our history. Newly opened, the war tunnel museum is somewhere to visit to learn about some of the things that occurred during the siege. These tunnels were used to sneak in & out of the city without detection and you can also walk through a tiny section of the tunnel to get a feel of what it was like during this time. Both centres have information about what life was like along with some footage of the siege itself which is hard to watch, but can't be missed. You can also read about some of the absolute horrors that occurred in the concentration camps throughout the wars in this region. Similar to visiting Auchvitz, it's painful but was a reality we all need to learn about to make sure it doesn't happen again. You'll also get a chance to see one of the Sarajevo Roses (snap next to this). When a missile hit & killed 3 or more people, the ground damaged was filled with red paint as a memorial. I wish I could share with you all the history of this country, but I've likely already overloaded you with information so try searching it with our friends at Google. It's truly a place that has seen such pain, but I had the pleasure to visit as it slowly becomes a city that absolutely no European explorer should miss. Let me know what you think once you've been.